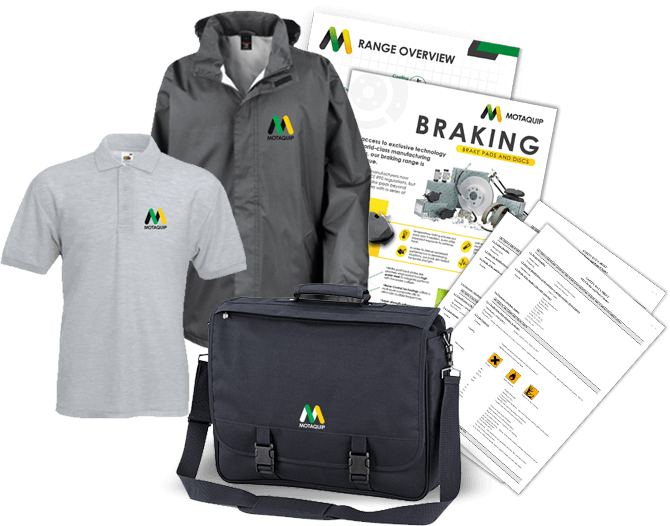 Download marketing materials, Health and Safety Sheets and order Motaquip merchandise. Get fast access to marketing materials, Health and Safety data sheets and branded merchandise through the links below. You can get access to our full range of marketing artwork and data by opening an account. 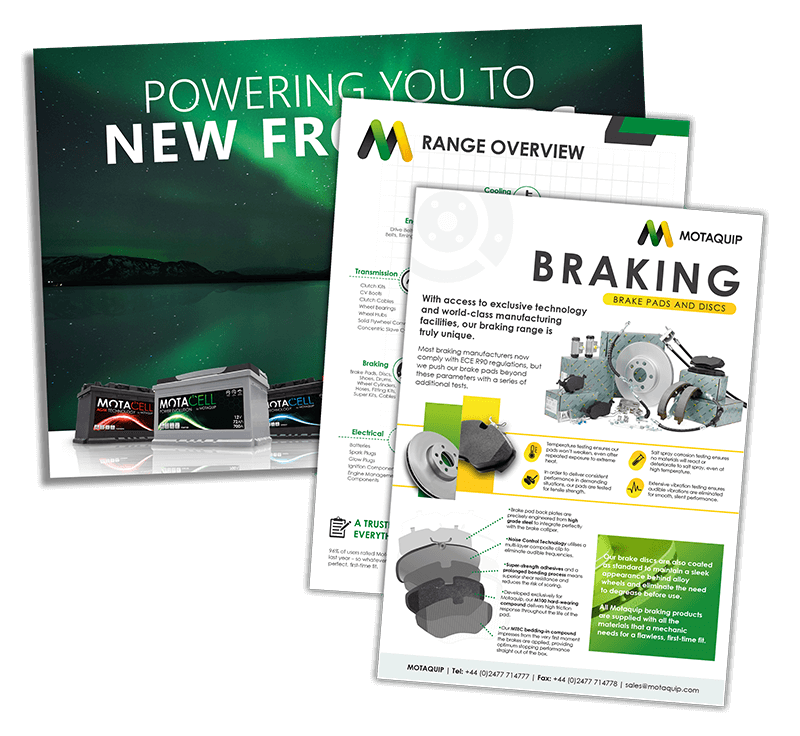 Get access to print marketing materials describing our brand, giving an overview of our range, and providing technical details for our product range. Versions suitable for professional printing, or modified to include your business’s logo and details are available on request. These marketing materials are perfect for business to business (B2B) and business to customer (B2C) usage. 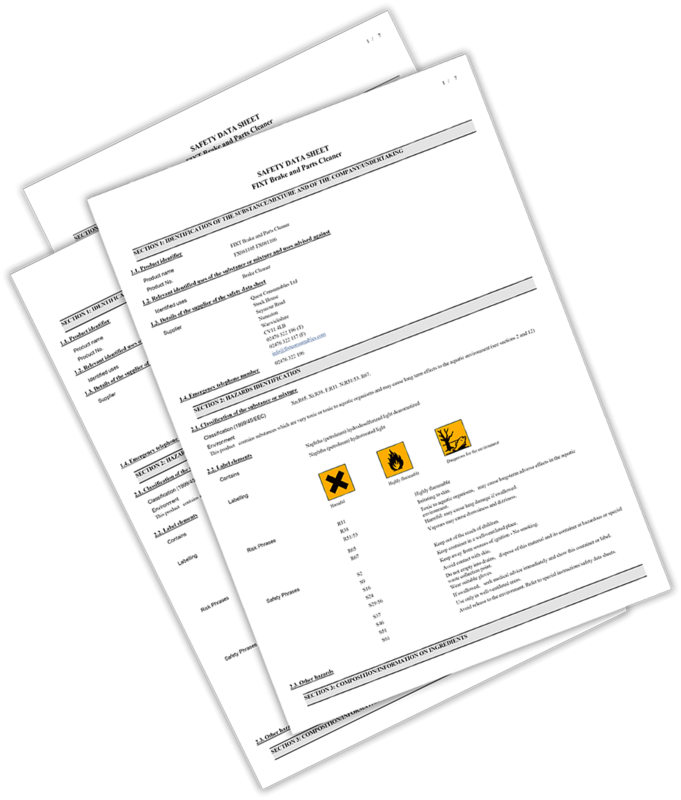 Motaquip safety data sheets provide information on chemical products that can help users to make risk assessments. They describe the hazards the chemical presents, and give information on handling, storage, and emergency measures in case of an accident. We can provide everything you need to help your staff, customers, and stakeholders buy into the Motaquip brand. 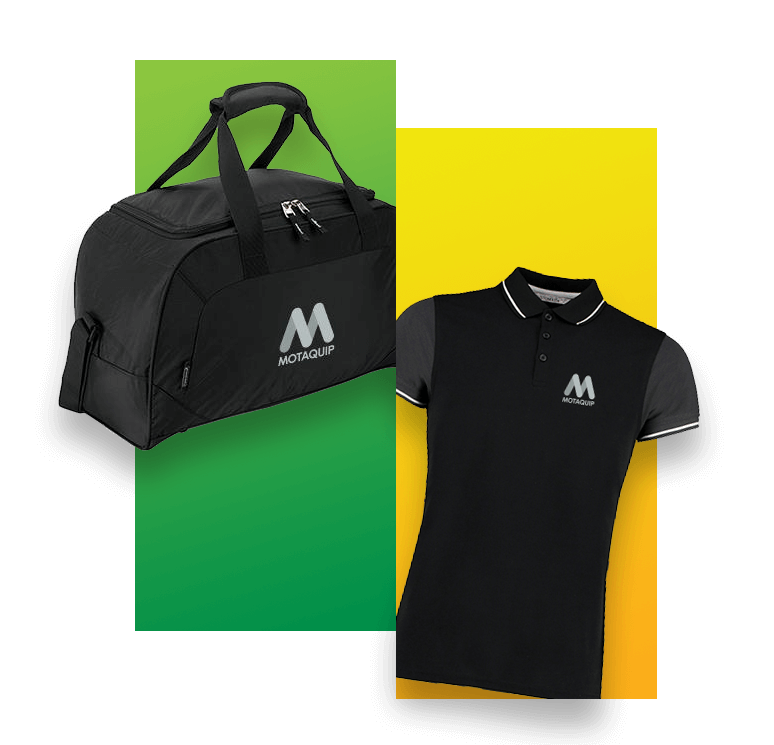 Motaquip’s online Merchandise Portal offers a huge array of sleek, branded products for inside and outside work. On many items you can also add your own logo and details to customise them for your business.